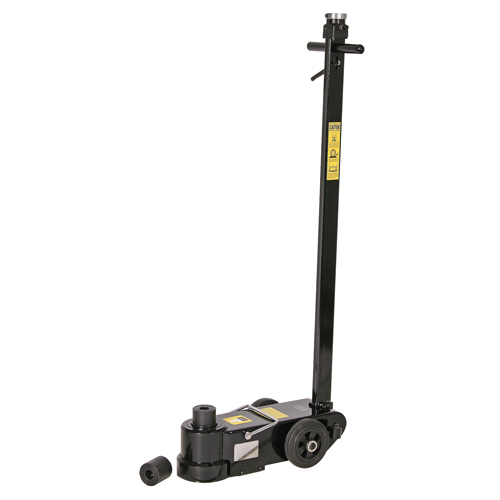 SIP pneumatic jack with a stage 1 extension of 70mm with 50 ton capacity, stage 2 extension of 55mm with 22 ton capacity and stage 3 capacity of 85mm with 10 ton capacity. Offering a 150-350mm min/max lifting height, this release safety handle for additional safety and a chrome plated ram cylinder for a high quality finish. Built on 2 large rubber wheels for easy manoeuvrability around the workshop allowing you to easily move the machine to where it's required.